Amfin has six temperature controlled paint spray booths allowing the application of a diverse suite of solvent and water-based coatings on a variety of metallic alloys and composites. 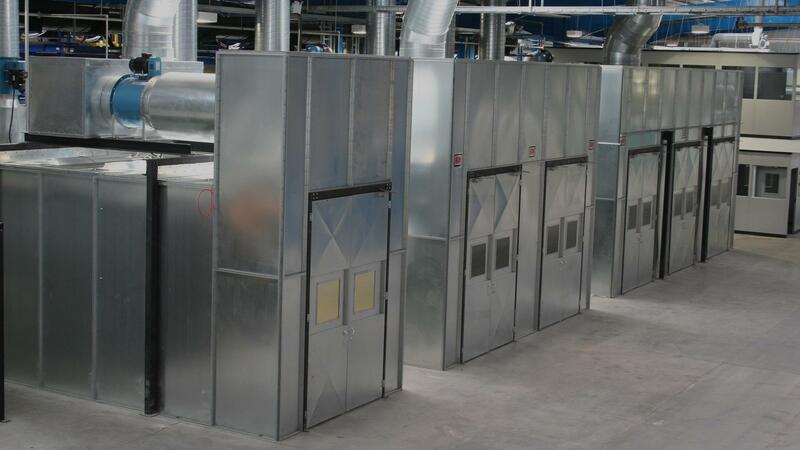 Dedicated paint curing ovens (fitted with programmable control systems) are situated close by, to allow efficient process completion prior to final inspection. Amfin has recently invested in automated paint spraying systems to improve throughput and repeatability on serial production components. Application of Thermal Barrier Coating / Organic Barrier Coatings / PTFE Dispersion / Graphite Dry Film Lubrican / Application of Air Curing Graphite Dry Film Lubricant / Mica Filled Coating / / High Heat Resisting Aluminium Stoving Enamel / Heat Resistant ES Coating. Coatings applied to metallic and composite substrates.